Today marks a milestone in Earth's history. Today the 7 billionth human being is born somewhere in our blue planet. According to the United Nations, if he or she happens to be born in Japan, France, the United States or other wealthy nation, that baby will live up 100 years. How big is 7 billion? According to the National Geographic, don't other counting it out because even if you if you spend just a second for each number, it will still take two centuries to reach that number. If you take 7 billion steps, it will take you around the globe 133 times! It's that big. You may wonder how 7 billion people will fit in this tiny sphere. Well, someone did try to determine how and by their estimates, if all 7 billion of us stand shoulder to shoulder, we will all fit in the city of Los Angeles. 82% of us are literates. 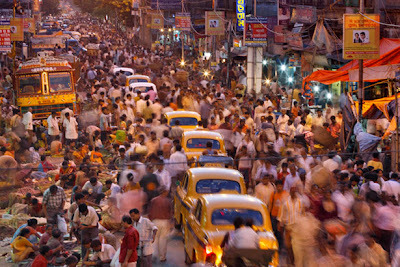 We should remember of course that the world population will not stop at 7 billion. Health improvements resulted in longer life spans, improved survival of mother and child. Also despite declining fertility rates, about 80 million people are added to the world population every year, roughly equivalent to the entire population of Germany. If this trend continues, there will be 10 billion people on earth by the end of this century. Aside from this, the UN has estimated that there are some 3.7 million people that are in their reproductive years. So expect our population to further grow in the next few decades. Much of the growth will be in Asia but Africa is fast catching up. Fertility in the continent is double than that in Asia, so much so that its population will triple by the end of this century. For example, Germany and Ethiopia has the same population of about 80 million. But due to differences in fertility rate, Germany which has a fertility rate of 1.4 child per woman will see its population will go down to 75 million. Ethiopia on the other hand with its 4.6 fertility rate will almost double its population to 145 million. The task of providing for this 7 billion souls lies in the hands of governments around the world of course. Part of their work should also be to educate their people on reproductive health and provide the facilities and services for the same. They need to study and take in to consideration how to make life sustainable for all of us. The decisions and policies that they will make today will determine the future of 7 billion people. By the way, by time you finish reading this blog, you will be one of the more than 7 billion people in this rock we call home. "We are 7 billion people with 7 billion possibilities"
Nokia unveiled two new smartphones based on its new operating system, Microsoft's Windows Phone instead of its Symbian or MeetGo software. Children meet the Lumia 800 and 710, two new smartphones that Nokia hopes would help them get back in the mobile phone scene. 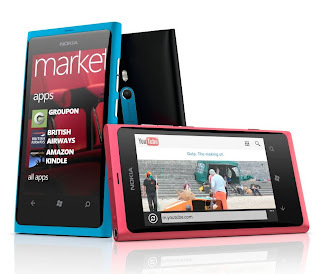 Lumia 800 is obviously the high end model between the two. It sports a rather curvy design and based on the picture, its 3.7-inch 800x480 AMOLED screen seem to occupy most of its body. Inside this device is a 1.4 GHz processor, with hardware acceleration and graphics processor. For those who like snapping their photos using their phones, the 800 comes with an 8-megapixel camera. It has a dedicated button to instantly share your photos online. It has a hefty 16GB internal storage for your photos and music. This baby will come in three colors, cyan, magenta and black. It is now available for pre-order in Europe but will be available in select Asian countries later this year. Don't jump for joy yet because most likely, the Lumia 800 will not reach our shores until early 2012. Nokia wanted to bring the Lumia experience to more people in the world so they also introduced a more affordable phone, the Nokia Lumia 710. Like its higher end sibling, this model comes with the same 1.4 GHz processor, with hardware acceleration and graphics processor as that of the 800. However, this one comes with 8GB internal storage and a 5-megapixel camera. 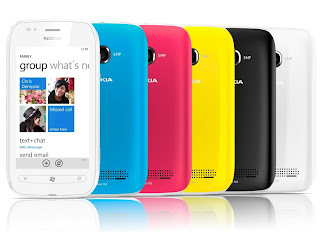 Its design is a typical Nokia design. It comes in two colors: black and white but the removable back cover can be changed to either black, white, cyan, fuchsia, or yellow. Remember how much fun it was then to change those plastic covers to our preferred colors? Well it seems Nokia wanted us to experience that again. Both handsets runs on the lates Windows Phone 7.5 Mango operating system. 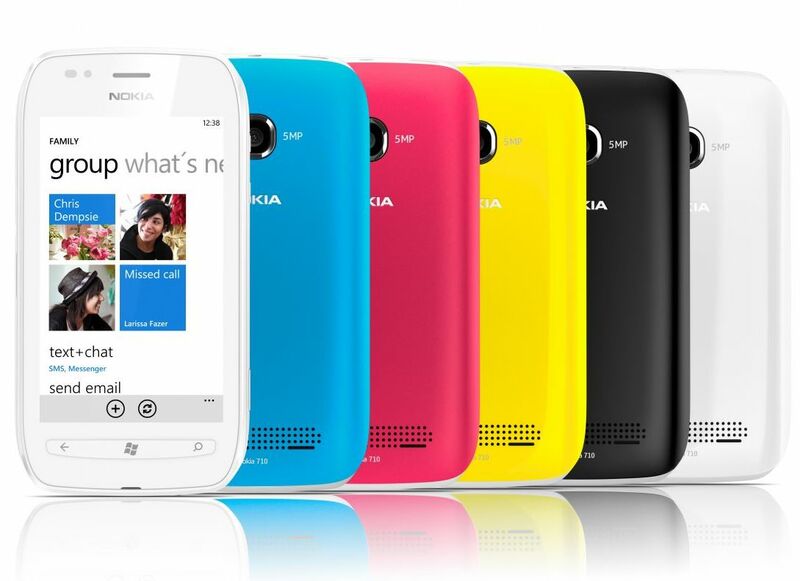 It will also have apps exclusively available to Nokia Phones and optimized for the Windows Phone operating system. Among these apps are Nokia Drive, which delivers a full-fledged personal navigation device (PND) with free, turn-by-turn navigation and dedicated in-car-user-interface; and Nokia Music introducing MixRadio, a free, global, mobile music-streaming application that delivers hundreds of channels of locally-relevant music. The Lumia 710 will be released later this year in some Asian countries. Just like the Lumia 800, this device could be available in the local market by early 2012. While I was doing my blog on hunger myths and facts, I also checked on the state of hunger in the Philippines. I wanted to know how our country fares in terms of hunger. I came upon the results of the latest Social Weather Stations (SWS) on hunger which shows a rise in the number of hungry Filipinos. According to the survey which was conducted in September of this year, one in five households or 21.5 percent which is an estimated 4.3 million families, claimed to have experienced having nothing to eat the three months prior to the survey. This is the highest incidence during the current administration and also higher by 7 percent of the 13-year average of 14 percent. The SWS divided hunger into severe or moderate. Severe are those who experienced hunger "often" or "always" while moderate refers to those who experienced it "only once" or " a few times" in the last three months. Severe hunger was highest in Metro Manila where some 6.3 percent of families claimed they had nothing to eat. Moderate hunger also increased in the region at 16.7 percent. For this survey, the SWS polled 1,200 household heads or 300 respondents for each of four regions: Metro Manila, Luzon, Visayas and Mindanao. The process of choosing respondents is random, to assure neutrality. I received a very interesting article from the World Food Programme about the common misconceptions about hunger. I want to share it with you the highlights of the said article. Myth 1: There isn’t enough food to feed the world. Reality: There is enough food in the world today for everyone to have the nourishment necessary for a healthy and productive life. There is, however, a need to be more efficient, sustainable, and fair in how we grow and distribute food. This means supporting small-scale farmers who make up the majority of farmers throughout the developing world – and ensuring that they have fair access to markets. Myth 2: Resolving hunger means ensuring people have enough to eat. Reality: Hunger also involves the type of food you eat. Good nutrition means having the right combination of nutrients and calories needed for healthy development. It's especially important for infants, pregnant women and young children. Myth 3: Droughts and other natural disasters are to blame for hunger. Reality: Communities that build irrigation systems, storage facilities, and roads to connect them to markets are able to improve harvests. Then people can survive even during times of drought. Nature is only one factor when it comes to hunger. The proportion of food crises that are linked to human causes has more than doubled since 1992. Conflict is often at the heart of today’s worst food crises. Myth 4: Hunger exists when food is unavailable in shops and markets. Myth 5: All of the world’s hungry live in Africa. Reality: Of the world’s nearly one billion hungry, over half live in Asia and the Pacific Hunger is also a relevant issue in the United States, where 50 million Americans are food insecure. Myth 6: Too many people go hungry in my own country for me to worry about hunger abroad. Myth 7: Hunger and famine are not easy to predict and can't be prepared for. Myth 8: Hunger is basically a health issue. Myth 9: People are only hungry during emergencies or disasters. Myth 10: There are more pressing global issues than hunger. Myth 11: There is nothing we can do to help hungry people. Reality: There’s plenty we can do, even as individuals. Organizations like WFP need constant support and awareness-building efforts at the community level. You can help with that. Find out other ways to get involved here. The World Food Programme (WFP) is the world's largest humanitarian agency fighting hunger worldwide. It is part of the United Nations system and is voluntarily funded. 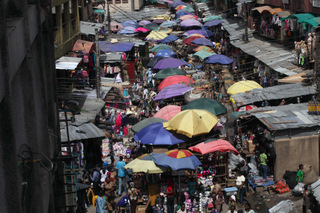 For 2011, the WFP aims to reach more than 90 million people with food assistance in more than 70 countries. Around 10,000 people work for the organization, most of them in remote areas, directly serving the hungry poor. I joined the photo walk of my camera club this weekend at the Paco Park in Manila. It's been a while since I last visited the place and it was nice to see it again. Aside from that, we celebrated the 50th wedding anniversary of our parents there three years ago so it's a memorable place for me personally. Paco Park also has a place in our country's history. Our National Hero Dr. Jose Rizal was buried there for a while after his execution. The three martyred priests named GomBurZa were also interred there. I was around 9 in the morning when we got there and the park was relatively quiet and almost empty except from a few visitors. We have it almost to ourselves except that there were some construction going on. Some areas were being dugged up while some of the walls were being reinforced. Here are some of the photos I took during our photo walk. It's not as if it is not available in the country yet but YouTube recently launched a localized version of the biggest online video sharing site here in the Philippines. It is the first one in the Southeast Asia region. The company noted that number of video uploads by Filipinos is one of the highest in the region. A number of our countrymen have also been using YouTube to make a name for themselves across the globe. Charice was discovered through the site by Ellen DeGeneres and Oprah Winfrey. Rock band Journey chose Filipino singer-songwriter Arnel Pineda to be their new vocalist after seeing videos of him belting out their hits on YouTube. And of course, the well choreographed dance routines for Michael Jackson’s “Thriller” of the uniformed inmates of Cebu Provincial Detention and Rehabilitation Center made them popular the world over. The localized service will also allow for monetization of video views in the Philippines. The YouTube Partner Program will enable regular video content creators in the country to become content partners with YouTube and monetize their work on the site through advertising. I have posted several videos of my travels on YouTube although none has gone viral yet. But who knows. It's been almost six years since their last album so it wasn't surprising that Evanescence lead singer Amy Lee would scream "Hello, hello, do you remember me?" in the chorus of the opening track of their new self-titled album. In fact, the first cut pretty much set the mood for the entire album. This is Evanescence and they're back even if it's only Amy that's basically left of the original members. This new turnover must have led to the somewhat new sound of some of the tracks, leading me to believe that Amy must have asked some of her new band mates to help in the songwriting. There are no hard driving anthems like "Bring Me to Life" but it seemed that "rock hard" was the order of the day. So rock hard the band did. So hard that in some tracks, the guitars drowned the orchestral strings the band is known for. Those of us who love Amy's soaring, breathy vocals, however, have plenty of cuts to listen to and like. In fact, this was put to full use in the ballads, including the last bonus cut (I am using the de luxe version for this blog), "The Secret Door." Not to mention the angst filled lyrics that sometimes border (at least some of the songs) in melodrama. Also, many of the songs have lyrics that focus, if not obsess on death and the afterlife. Evanescence is a goth band after all. The album is Evanescence through and through which could be both good and bad. Bad for those who wanted to hear something new from them. For fans like me who want to hear more of their signature sound, this is one good album to get reacquainted with the band and their music that we love. 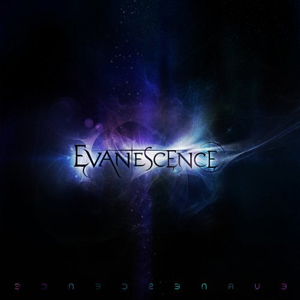 You can download the De Luxe version of Evanescence from iTunes. Apple released iOS 5 this morning, its most anticipated mobile operating system for the iPhone, iPad and iPod touch. 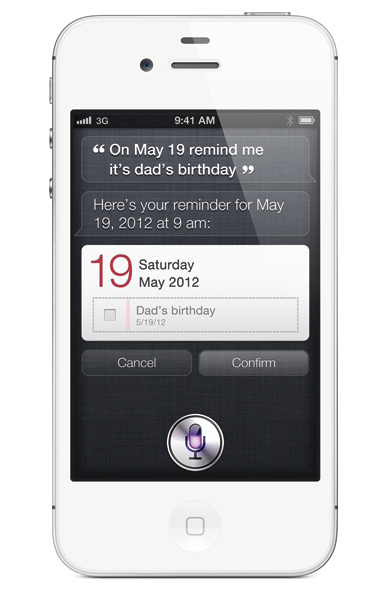 It brings 200 new features and enhancements including Notification Center, iMessage, Newsstand, Reminders, and systemwide Twitter integration. The update requires iTune 10.5 which was released last Tuesday. To download, connect your device to iTunes and you'll be prompted with the download. If not, click on Check for Updates button. 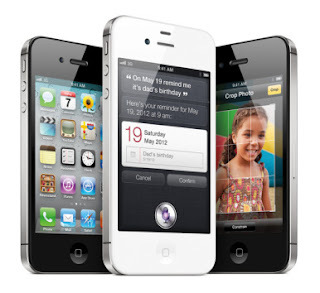 iOS 5 is compatible with the iPad 2, original iPad, iPhone 4, iPhone 3GS, and third- and fourth-generation iPod touch. A good number of fellow members of an online Mac users forum stayed all night to wait and be the first ones to download and run this new OS. 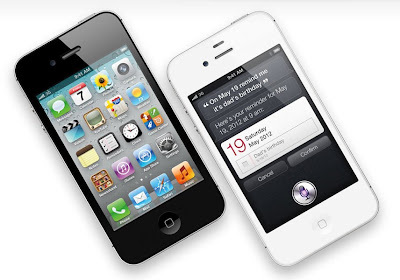 Some of them are reporting problems and difficulties with upgrading to iOS 5, as Apple's servers have been acting up perhaps due to high demand for the new release. I am downloading it right now and hopefully the glitches experienced by early adaptors have been addressed already. I will make a more detailed post about it in the next few days. 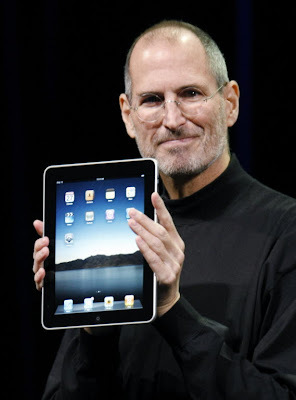 Thanks for making computing fun. Your legacy will live forever.